I seem to be in the minority when it comes to my analysis of the Cowboys' running back position. All around me are people clamoring for a big free agent signing or a high draft pick, even the fourth overall, to add more ball-carrying talent. I'm not on the same page with most of you. Let's set the table with some facts, shall we? 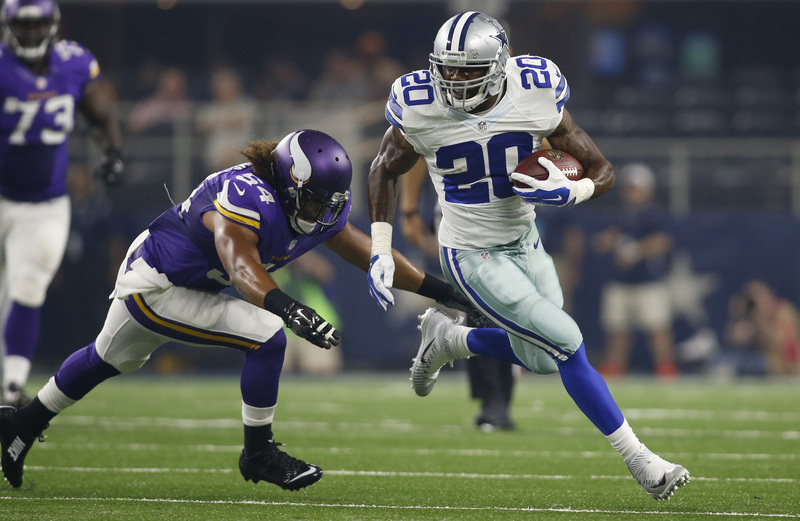 Darren McFadden was the 4th-leading in the NFL last year, only 27 yards behind Todd Gurley at #3. McFadden was a backup for one-third of the season, getting just about seven carries per game until taking over in Week 6. 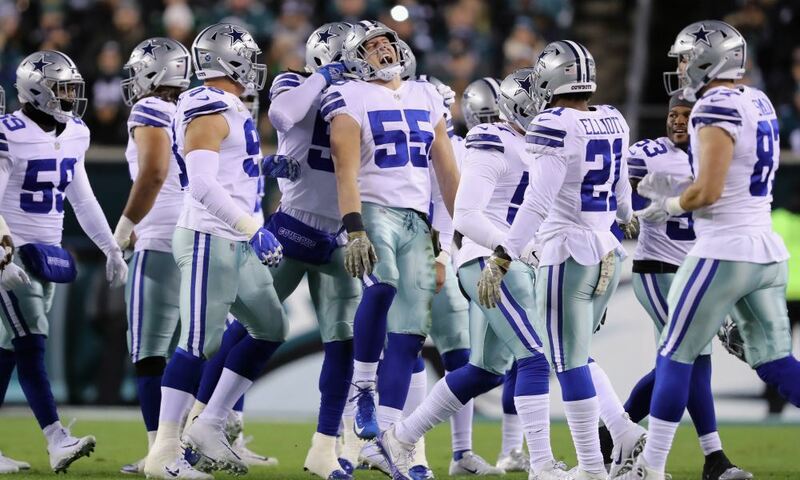 As a team, the Cowboys had the 9th-best total rushing yardage and 5th-best yards-per-carry. This strong rushing production came despite the absence of a passing threat in our offense. Somehow, McFadden's value is getting summarily dismissed. Fans are overly focused on the shiny new cars on the lot and have, in my opinion, lost perspective on just much actual need there is at the position. Given Dallas' issues throughout the roster, people need to take a step back and consider just where resources will be best spent. Now I can buy some arguments against trusting McFadden. As a Raider his career was marked with strong years followed by injury-plagued ones. McFadden got more touches in 2015 than in any other season and turns 29 in August. There is legitimate cause for concern. But where I see a need for some added insurance, others are wanting a total overhaul of a position. They perceive necessity where I'm seeing luxury. I can understand the attractiveness of signing a guy like Miami's Lamar Miller. He turns just 25 in April and has a skill set that seems to suit our offense well. But Miller will be one of the top two free agent running backs in next week's market along with Doug Martin, driving his price way up. Is that money well spent? Another name you hear a lot is Matt Forte from Chicago. He's a year-and-a-half older than McFadden and wasn't nearly as productive last year. Why is he an upgrade? This isn't to say Dallas doesn't need free agents. I'd be all for adding someone like Alfred Morris or Bobby Rainey, guys who will come at a discount for the production they could offer if needed. I'd even be okay if Dallas wanted to bring back Robert Turbin for that role. Where I can get on board is the notion that we have to upgrade from McFadden. He put up top-five production in two-thirds of the time. 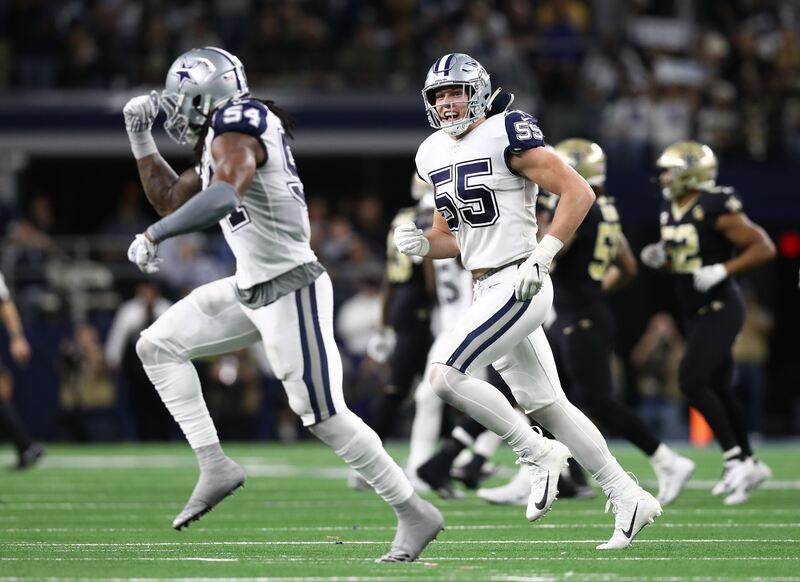 Cowboys game broadcasts are some of the highest-rated in the whole NFL, so how come nobody else saw it? The other big push for an upgrade is draft-focused, with some even suggesting Dallas should use their fourth-overall pick on a running back. No matter how much you like some of this year's prospects, the history of highly-drafted running backs should concern you. In the last ten years only Trent Richardson, Reggie Bush, and our own McFadden were taken in the top five. None of them ever lived up to that status. If we expand to the Top 10 then the list includes Adrian Peterson, C.J. Spiller, and Todd Gurley. Peterson has certainly lived up and Gurley had a fantastic rookie year. But overall that's just 33% success rate on running backs taken in the Top 10, and that's only if we assume Gurley is going to remain a star player. 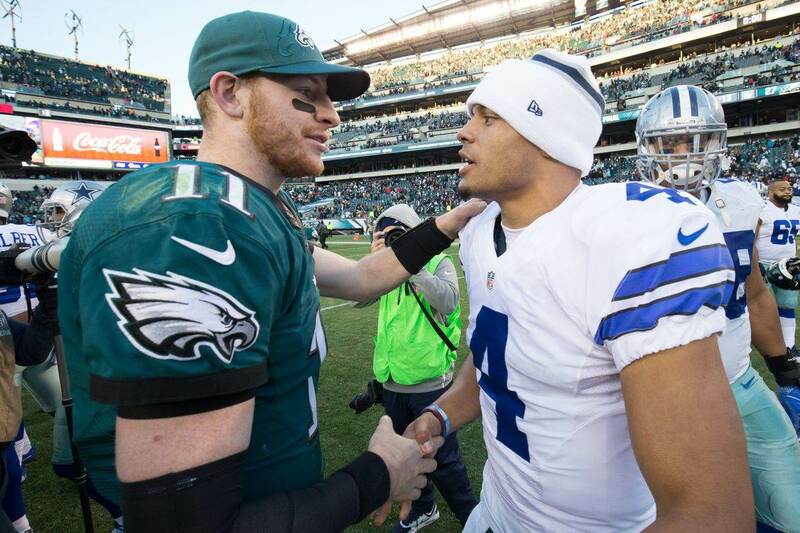 You're not wrong if you like what Ezekiel Elliott or some other top prospect offers. However, you have to look back at that list of disappointments and remember that they were all "future stars" at one point. The odds that one of these guys will be the next Adrian Peterson are far slimmer than draft hype and excitement lead you to believe. To be fair, one reason for the low success rate is that the teams drafting guys in the Top 10 are usually not very good. They may not have the best offensive lines or passing games to allow these young runners to thrive. Dallas is in a unique position because Tony Romo's injury forced them down the standings despite having a solid infrastructure. If top defensive prospects like Jalen Ramsey or Joey Bosa are taken in the top three then I can live with Dallas trading down to snag a running back in the first round. It would be the ultimate insurance policy against a down year for McFadden and set you up nicely for the future. But it certainly shouldn't be "Plan A" for their draft approach given other roster needs. Bottom line; McFadden isn't getting the respect his 2015 performance deserves. Given our issues and needs on defense, we need to be careful how we spend cap space and use draft picks elsewhere. Luxuries are great when you can afford them, but Dallas isn't all that luxurious right now. "Buyer beware" is often said when it comes to the quality of the intended purchase but can also be said about the responsibility of the buyer. Desperation after a down year can lead to mistakes. New found financial flexibility can cause reversion to old habits, spending too much in the present without an eye on the future. The Cowboys can't go back to their old ways. Otherwise, you can plan on the same old results.